Alongside today’s announcement of a new V11 cordless vacuum, Dyson also announced updates to its lighting and air purifier products. 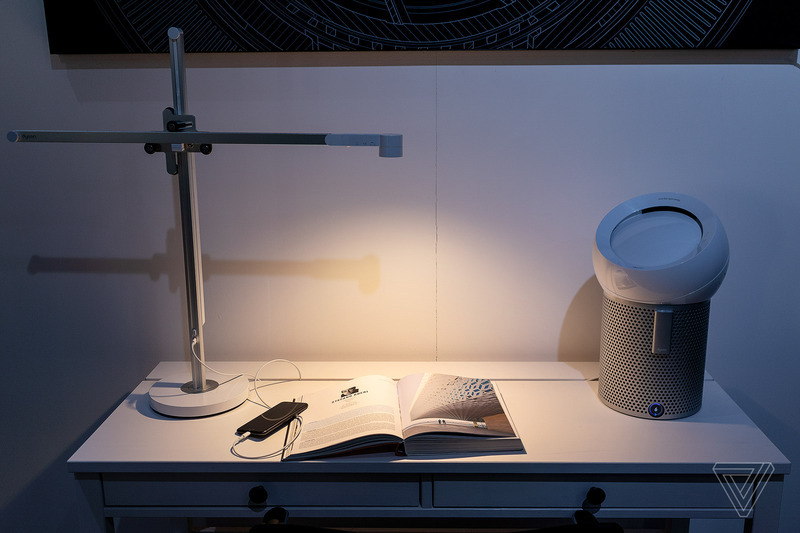 The first is the Dyson Lightcycle, its desk and floor lamp that can automatically adjust its lighting temperature based on ambient light or time of day. 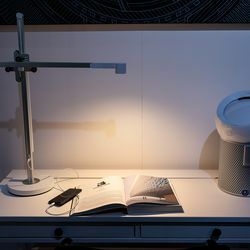 The high-end lamp also includes a scheduled lighting mode that gadgets like the new Casper Glow offer: you can now set wake and sleep times to gradually adjust as you prepare to rise or wind down. Everything about the Lightcycle is as over-engineered as you’ve come to expect from Dyson products. 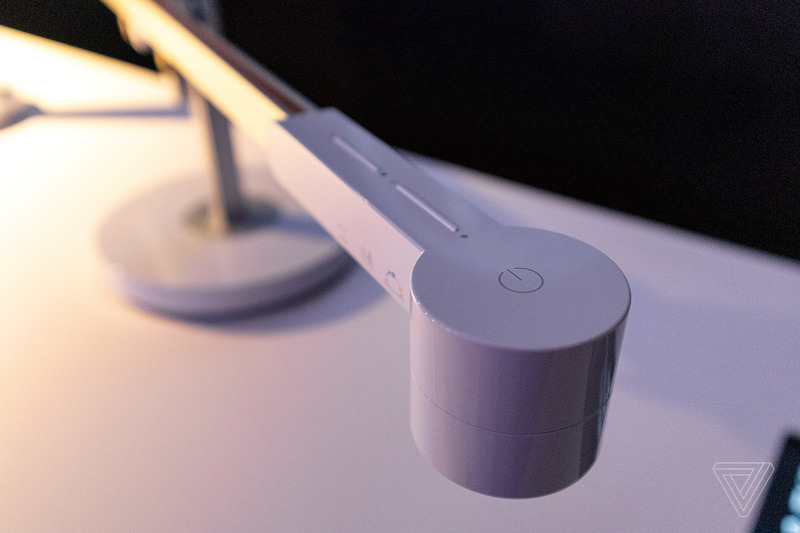 It has a new control panel above the bulb (which Dyson claims can last up to 60 years) that uses touch-capacitive taps and slides to control the power, lighting temperature, and brightness. Buttons along the bottom let you turn on the ambient mode that allows the Lightcycle to change lighting temperatures based on the natural light it finds in the room. Along the side of the stand, there’s a single USB-C port. Dyson did not get back to us in time for publication on the output power, only describing speeds as “fast” for smartphones, “medium-fast” for gadgets like a Nintendo Switch, and slower for larger devices like a laptop. We’ll update this post if we get an exact number. It’s also now connected to the Dyson app where you can set your location so the Lightcycle can match the lighting to the exact lighting conditions based on where you are. I imagine this feature will be seldom used because I’m not sure who travels with their desk lamp often enough to have to periodically update its location. 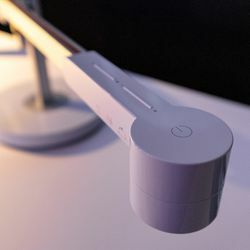 One feature that is interesting and can only be activated through the app, however, is precise lighting modes such as study, precision (Dyson says this is designed for engineers, artists, or other handiwork), and relax. You can also add your age so the Lightcycle adapts its brightness to a level it deems appropriate for your vision. 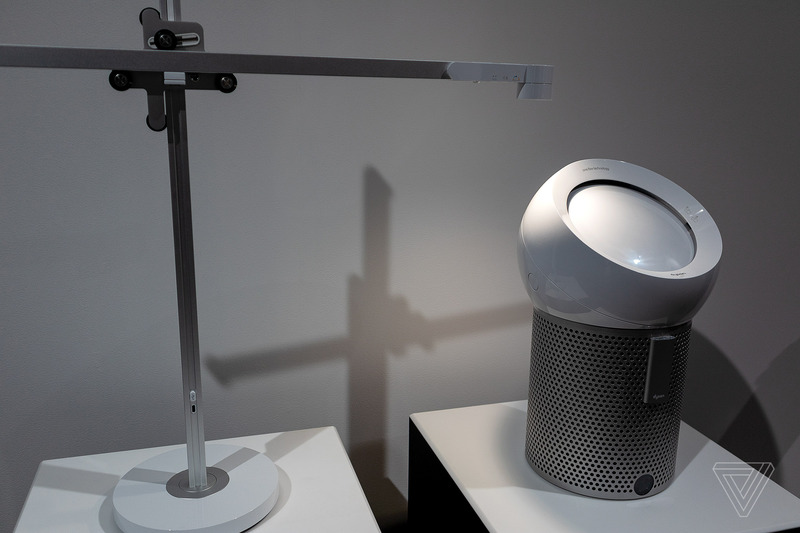 In addition to the lamp, Dyson is also updating its air purifier that launched last year with a miniaturized version for tabletops. 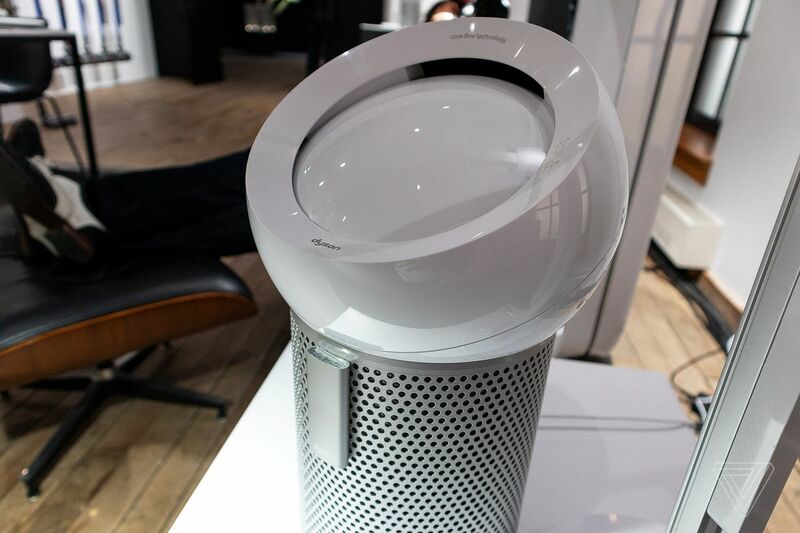 The new Dyson Pure Cool Me (a mouthful of a name) has a ball-like top that you can tilt forward and back to control the direction of air flow. It also includes oscillation modes and a timer through the remote. Unlike the Lightcycle or the Pure Cool Link, the new Pure Cool Me won’t be able to sync to Dyson’s app. The company says this is designed for personal uses rather than to cool and clean the whole room, so adding app functionalities didn’t seem like it was necessary. Unlike its bigger counterpart, the Pure Cool Me won’t tell you the types of microns and impurities it’s eliminating from your room while in use. You can, however, still use the remote to find out how your filter is faring and see when to swap it out. According to the company, the filters will last about a year with daily use. The Dyson Lightcycle has already launched in China, but it will be globally available in April. 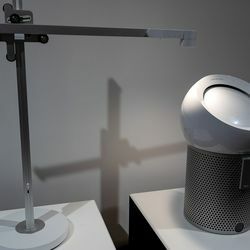 Preorders begin today on Dyson.com, starting at $599.99 for the desk lamp and $899.99 for the floor lamp. Despite those steep prices, however, expect to only use the Dyson Link app to control the lamps. It will not ship with third-party functionalities with smart assistants like Alexa or Google Assistant. The Pure Cool Me is available now through Dyson for $349.99, and it will come to Target, Best Buy, and Amazon in April.